Last Chance to Take Advantage of the Special Bonus at Kenneth & Holmes! 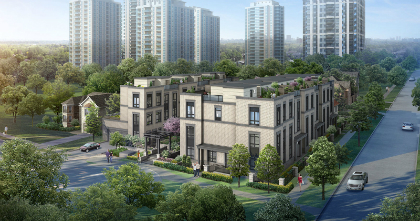 In celebration of Chinese New Year, Fieldgate Urban is offering a special purchasing bonus package at our North York development, Kenneth & Holmes Urban Townhomes! This special offer is only offered up until February 18th, 2016, so you need to act now to take advantage! The bonus includes a free parking spot, a free locker, $5,000 decor credit, free assignment, and permission to lease during occupancy. 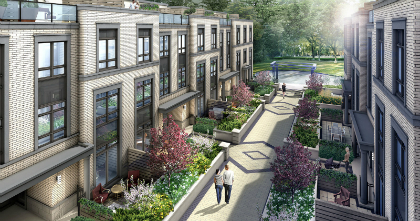 There are only eight two-storey terrace townhomes remaining, all of which offer floor plans exceeding 1,100 square feet. Many young, move-up buyers and small families have recognized Kenneth & Holmes as a great opportunity to invest in a promising, family-friendly North York neighbourhood. Some of the high quality interior features and finishes at Kenneth & Holmes include 9’ ceilings, premium plank laminate flooring, porcelain and ceramic tile, quartz countertops, stainless steel appliances, and contemporary European-style, soft-closing cabinetry with deep uppers over the fridge and deep side gables. Located right around the corner from Yonge and Finch, Kenneth & Holmes is nestled among tree-lined streets, seconds away from the subway line. With such close proximity to reliable transit, downtown Toronto is easily accessible, which is ideal for young professionals working in the Financial District. Kenneth & Holmes offers an urban lifestyle away from the hustle and bustle of downtown, without making it inconvenient to access all the amenities of the city. 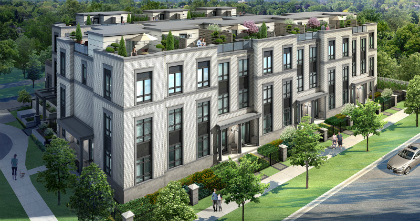 If you are interested in taking advantage of our amazing incentive at Kenneth & Holmes Urban Townhomes, then contact us today at 416-315-3681 to book your appointment. You can also register here to receive more information.